Need your daily fix of free apps? We’ve handpicked 32 iPhone, iPad and iPod touch apps that are free today only. 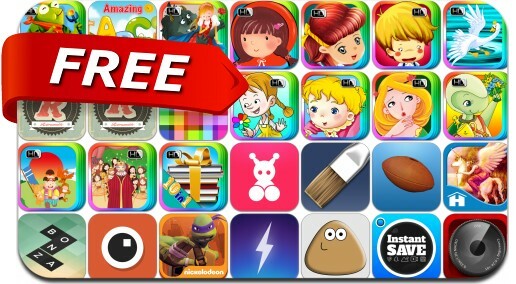 This apps gone free alert includes Teenage Mutant Ninja Turtles: Rooftop Run, Kick the Buddy: Second Kick, Bonza Word Puzzle, Pou, Retromatic 2.0, Makanim, Thunderspace, CameraBag 2, InstantSave, ArtRage and many others.